The Administration department implements and interprets Board policy, represents WCPL in the community, hires, leads, supervises, and evaluates the staff. 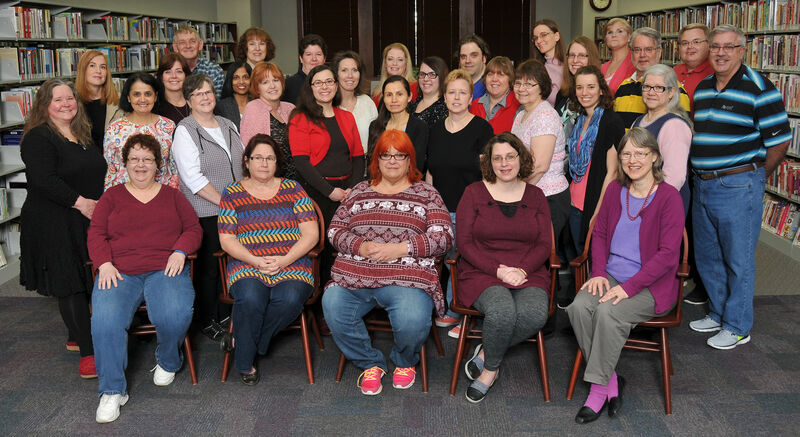 This department also manages the Library's finances and assets and administers the Library's operations while remaining current on methods of operations. Disseminating information is the primary duty of this department. Staff members are on duty whenever WCPL is open to answer reference questions. In addition, these staff persons instruct patrons in the use of library materials, word processing computers, and the Internet. This department is also responsible for development of the Library's collections for adults and teens, interlibrary loan services, reader's advisory and programming for adults. Reference services are available in person or by telephone, email, or fax. Any question that is important to the patron is important to Information Services staff. Whether it is spelling a word, finding a telephone number or address, or something more involved and complicated, Information Services will endeavor to find the answer. Adult Services is also responsible for running WCPL's homebound program. If you know of a person who is unable to visit the Library in person due to health problems, Adult Services can help provide them with access to library materials. Children's Services oversees all childrens and young adult WCPL programming (including story hours), use of the Library's meeting rooms, and the Summer Reading program. Technical Services oversees operation of the Library's Cataloging and Circulation departments. Cataloging is responsible for the acquisition, cataloging and classification, and processing of all the Library's collections. If the items is available for loan, it first came through the Cataloging office. Circulation is responsible for the check out and check in of library materials. They also issue new library cards, handle reserve requests for materials, and collect fines and fees. Circulation staff are often the first contact patrons have with the library. The Computer Services department provides technology solutions to the library, its staff, and its patrons. We deploy and/or maintain all computing solutions, from PDAs to servers to mainframes, and deploy quality proccessing services for all functions and needs. Computer Services is the centralized point for technology knowledge, deployment, maintenance, development, procurment, and training.